Google had another Christmas party the other day and part of the entertainment factor was a life size snow globe that people can fit in and take photos. 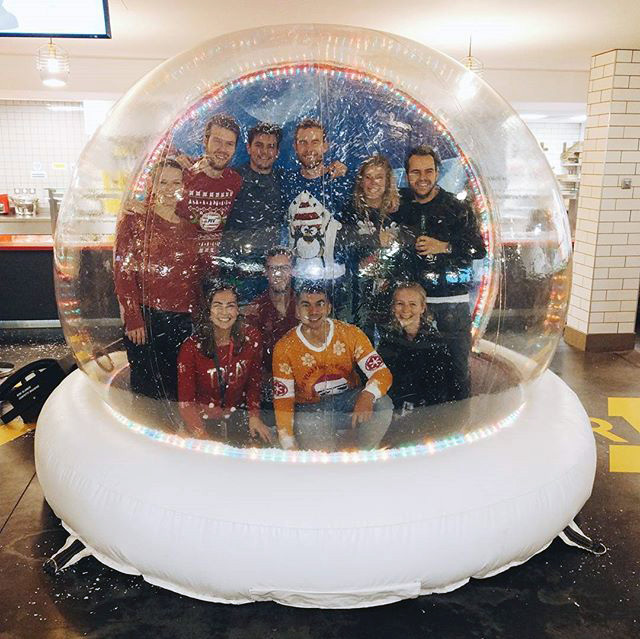 So here is a photo from Instagram the Dublin office party with Googlers inside this snow globe taking a photo. There are a bunch of photos on Instagram of this but here is a video below of some Google kids in the snow globe having fun.